Has Your League Thought of Everything? It's hard to believe 2011 is nearly gone and the 2012 season is just around the corner. As you plan your coaches meetings, imagine the excitement you'll create by handing every volunteer a CoachDeck. Better-run practices and more kids coming back to play means that CoachDeck is an investment that pays dividends. In this issue: Ryan Sienko offers another fantastic article delivering advice on how you and your catchers can bring out the best in umpires. Has your league thought of everything as you plan for 2012? Brian Gotta's updated article, originally published last year and among OnDeck's most widely-read, might save you from controversy down the road. And, in the third part in our series on the impact of injury on athletes, Dr. Alan Goldberg discusses the psychological consequences of injuries. Take a look at these fantastic sponsors: Have you ever wanted to design your own caps? Its quick, easy and affordable with Prep Gear! Nobody wants to take a fastball off the hands. But kids wearing XProTex protective batting gloves aren't afraid! Do you know a good swing when you see it? When players train with the RBI Pro Swing they can hear the difference between good and bad. Is it possible that traditional pitching coaches aren't giving you the advice you need to be successful? The 90 MPH Club program will help you attain velocity you didn't know could reach. 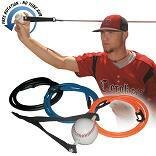 And, speaking of increased velocity, the ARM STRONG strength trainer is a must for pitchers at any level. Prep Gear caps will impress you with their comfort, quality and attention to detail. All of our caps are made from scratch, each design is chosen by our customers from their logo down to the color of the stitching. Design your own at a great price!